Remember Toronto’s food truck fiasco a few years back? City Council made the owners buy expensive trucks in order to expand their menus. The whole thing collapsed and many ended up in debt. No more has been heard about it since, although some restaurant-owned trucks have been given limited permission to sell an expanded menu in specific locations. 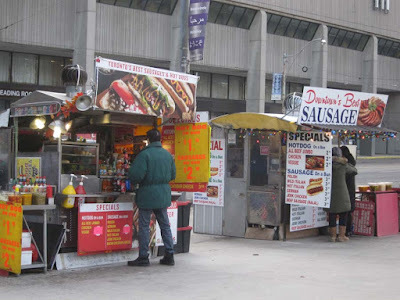 But other trucks are back to offering the same old variety of sausages and poutine. Well it turns out that Toronto is not the only city with a food truck phobia. As Michael Forsythe of the New York Times reports the Hong Kong government has a food truck pilot project under way and there are echoes of the Toronto situation.